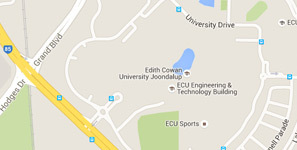 Congratulations on accepting your offer to study at Edith Cowan University. We are excited you are joining us. Attending orientation will keep you one step ahead and support success in your studies. You need to attend orientation to familiarise yourself with ECU and the support we provide. There are essential activities, events and information to help you settle in, become connected and ensure you are ready to study. The earlier you start getting to know your way around our systems and campuses, the better prepared you will be for succeeding. Select your mode of study below to begin your orientation journey and to register for orientation events. Choose the option that best describes you to navigate to your orientation page. Choose the option that best describes you to navigate to your research student orientation page.